I feel now, as I think I’ve always felt…you need to live for THIS day and for THIS moment. Don’t only fill your life with plans that are months and years and decades away. Travel NOW. Go to that movie on a weeknight. Posted by oneflychica on February 25, 2013 in Everyday Shiznit and tagged bucket list, elorps, live for now, nirvana, nothing is worth more than this day, seize the day, sieze the day, slurpee. Posted by oneflychica on January 9, 2013 in Everyday Shiznit, Uncategorized and tagged extraordinary, live a life less ordinary, ordinary, what if money wasn't an object. I tell ya, that vato is always kvetching about something! Posted by oneflychica on December 13, 2012 in OFC's Word of the Day and tagged kvetch, kvetchy, List of English words of Yiddish origin, Yiddish language. So, I’m a big fan of lists. To-do lists, present lists, goal lists, what-to-do-to-change-your-life lists, etc. I’ve got a load of them and don’t actually complete most of the tasks on said lists, but it just feels good to have them to reference. Posted by oneflychica on December 11, 2012 in Everyday Shiznit, Uncategorized and tagged Personal development, Philosophy, procrastination, Timewasting. 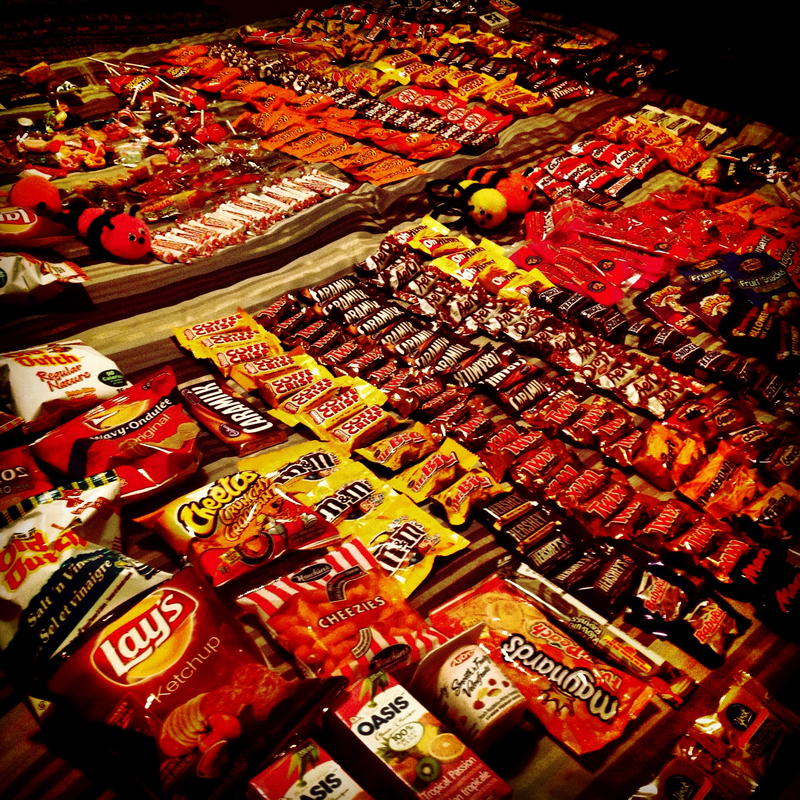 Posted by oneflychica on November 1, 2012 in Everyday Shiznit and tagged adult trick or treating, candy, halloween, trick or treating. 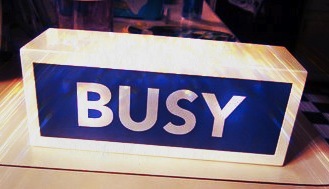 Busy, busy, busy – but are we really? This morning I received an email from my dad telling me that I had to check out this New York Times Opinions blog his friend Karen had sent him. And wow – it was so, so worth the read. If you think you’re “too busy” for this and for that, give this a read and I’m sure you’ll figure out you’re not. Yes, you do have the time to read this now. Posted by oneflychica on July 11, 2012 in Everyday Shiznit and tagged anxiety, busy, hurry, New York City, new york times, type a. 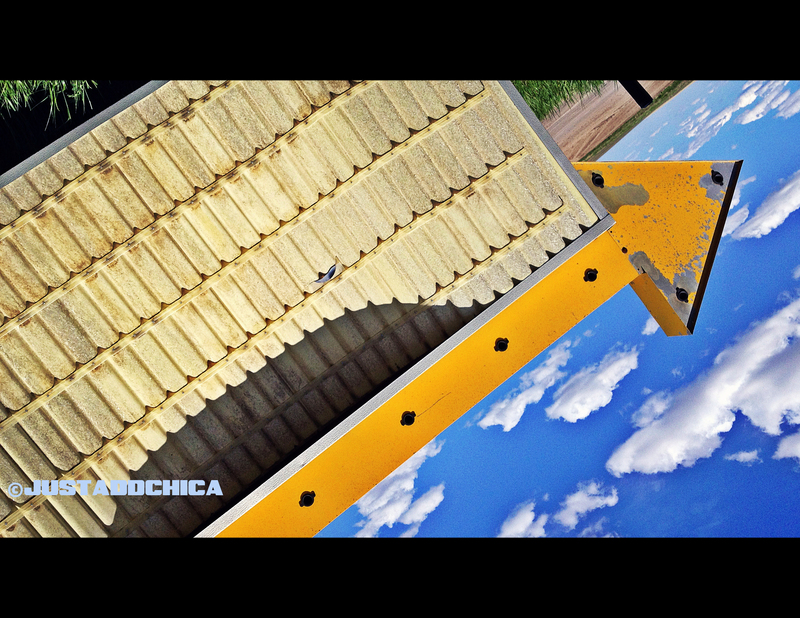 Posted by oneflychica on June 4, 2012 in Music, Travels and tagged Alsask, Country Roads, Going Nowhere, Road to Nowhere, Rural, Saskatchewan, Talking Heads. Adam Yauch aka MCA, one-third of the greatest band that has ever made its way onto my radar, the Beastie Boys, passed away on May 4, 2012 after a valiant battle with Cancer. I have been reading page after page after page of tributes to the late MCA and I am truly touched by what I’m reading as there is just so much love out there for what he was, what he stood for and what he meant to so many people’s lives. 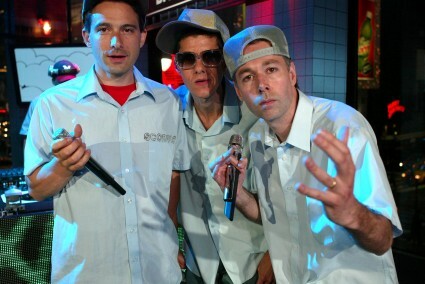 Posted by oneflychica on May 6, 2012 in Music, Uncategorized and tagged adamyauch, Adrock, Beastie, Beastie Boy, beastieboys, MCA, New York City, Rick Rubin, Yauch. Took a double-take at this truck in Calgary, Alberta yesterday and just had to snap a pic. Umm…redneck really??? 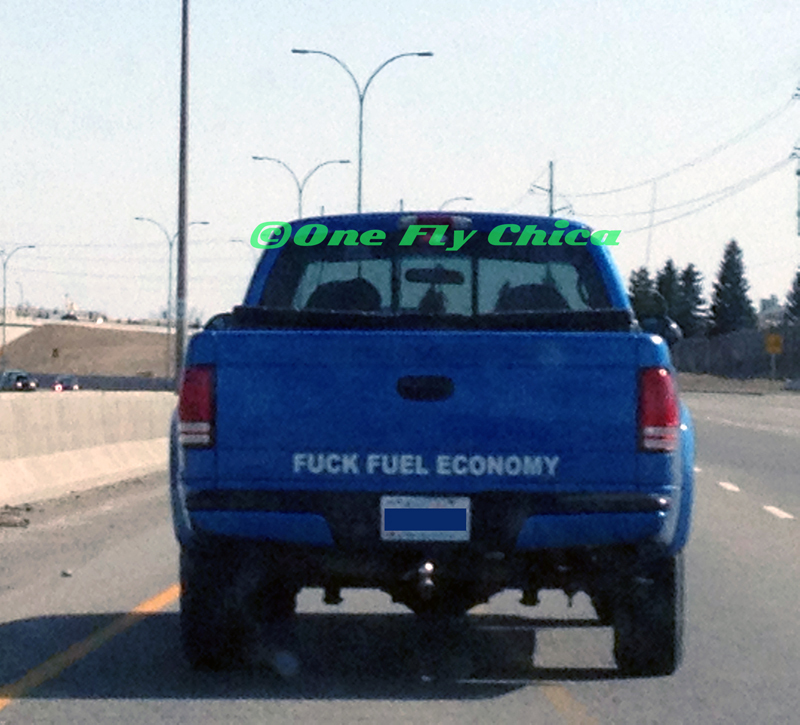 Posted by oneflychica on April 10, 2012 in Everyday Shiznit and tagged Alberta, Calgary, Calgary trucks, fuel economy, oil prices, redneck, YYC. “She is the wrong person…in the wrong life…with the wrong child”. “We Need To Talk About Kevin” is an earth-shattering, mind-bending and life-changing film. It has been years since a film disturbed me, excited me and attacked my every emotion as deeply as with “We Need To Talk About Kevin”. I saw the movie three weeks ago, but needed to go see it again because it was just THAT good. This film is a cinematic masterpiece on all levels and I highly recommend taking two hours of your life to be shaken, rattled and rolled. 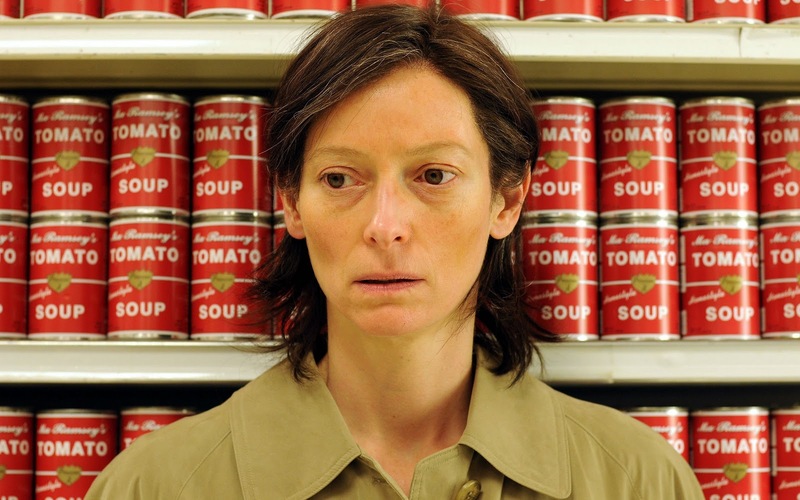 Posted by oneflychica on March 23, 2012 in Movies and tagged Evil Child, Ezra Miller, film review, John C. Reily, Katchadourian, Lonnie Donegan, Lynne Ramsay, movie review, New York City, Rosemary's Baby, Tilda Swinton, Washington Phillips, We Need To Talk About Kevin, We Need To Talk About Kevin Review.